Congrats to the Connellys’ ! 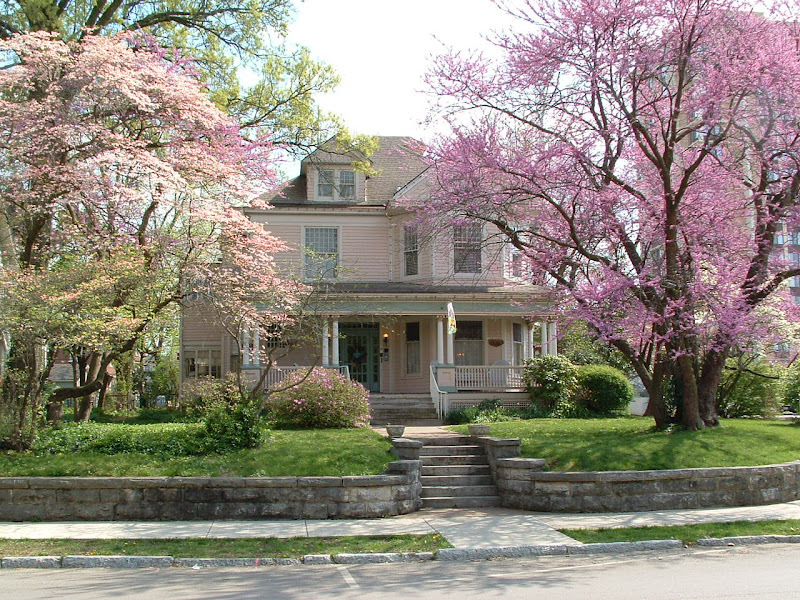 Have you ever seen the Walnut Street Inn in Springfield, MO? It is the most intimate, gorgeous place for a wedding! 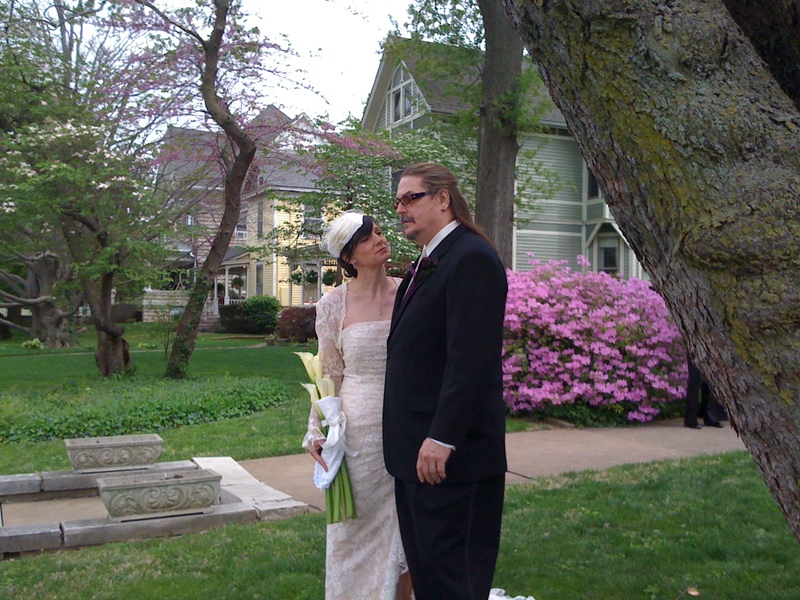 The new Mr. and Mrs. Connelly had a very beautiful ceremony in the main room of the Inn with pictures out on the lawn. 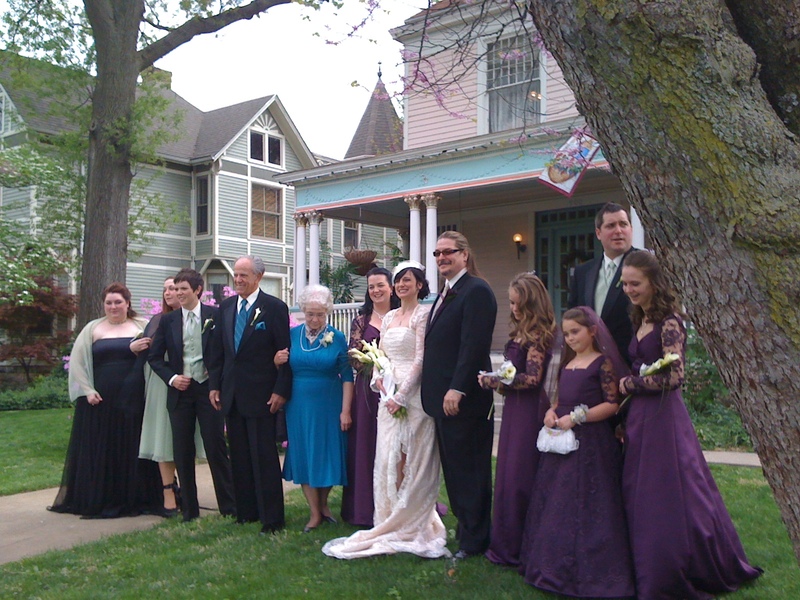 With everything in Spring bloom you couldn’t have asked for a more “picture perfect” occasion! This super cool couple brought in a lot of elements to make this wedding one to remember. Custom printed concert tickets for the “big party” they had the day before the ceremony and a cow bell send off at the end. How cool is a wedding with COW BELLS? If the rest of our year is as cool as this wedding it will be one to remember! Thanks guys! Yesterday, Heather Russell and Bryan Lewis said their vows in a beautiful ceremony at the University Plaza Hotel and then threw quite the party afterwards! Congrats!